ES0B 387GB SFF-1 IBM SSD with eMLC for IBM Power systems is a second generation Enterprise Solid State Drive providing significant performance, capacity and price performance advantages. IBM ES0B list price was $6,200, but is now only sold in refurbished or used condition. The IBM ES0B 387GB SFF-1 IBM SSD with eMLC offers approximately twice the drive throughput (IOPS and MBps) of the first-generation eMLC SSD technology, and has twice the capacity, which can reduce the number of SAS controllers and SAS bays for the same GB capacity or the same level IOPS. 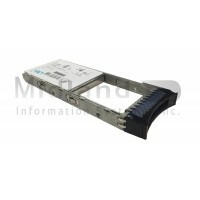 IBM ES0A and ES0D Solid State Drive features are used to order SSDs for IBM iSeries. IBM ES0B and ES0C Solid State Drives are used to order SSDs for AIX, Linux or VIOS. IBM ES0A and ES0B SSDs are identical, interchangeable and all report with CCID 58B8, but uses feature codes to distinguish between different OS environments. Likewise, IBM ES0C and ES0D SSDs are identical and physically interchangeable. Four feature codes are used for this drive to identify the type of SFF 2.5-inch SAS bay and the operating system which will use the drive. If used in a Power7 system unit or a 12X-attached 5802 or 5803 I/O drawer, then IBM SSD ES0A and ES0B features are named SFF-1. If used in a 5887 EXP24S storage drawer, then ES0C and ES0D SSDs are used and named SFF-2. SFF-1 and SFF-2 drives are not interchangeable as the SAS bays physically differ. IBM SSD eMLC technology stands for Enterprise Multi-Level Cell flash memory technology. 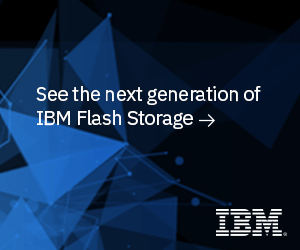 IBM was the first server vendor to provide this class of Enterprise SSD technology which delivers enterprise-class performance and reliability characteristics with the more cost-effective characteristics of MLC flash storage. The IBM Solid State Drives ES0A, ES0B, ES0C and ES0D 387GB SSDs were advanced in both the SSD device controller flash memory management, plus include advances in MLC technology itself. IBM's second generation Enterprise SSD with eMLC are designed to provide sustained performance levels and extended endurance and reliability. This IBM SSD eMLC line of products were designed to provide 24x7x365 usage, even running write-intensive levels for at least five years. IBM SSD customers can expect much longer life spans, since actual usage by clients will be much lower. Note: The increased performance levels of the 387GB SFF SSDs may have some configuration considerations unless the SSDs are not very busy. This means the SAS controllers or adapters can support fewer busy 387GB SFF SSDs than compared to the maximum quantity of busy 69GB or 177GB SSDs from a full performance perspective. Of course the newer PCIe Gen2 SAS adapters can run a much higher quantity of SSDs than the older PCIe Gen1 or PCI-X adapters. The 387GB SFF SSDs can be located on the same SAS controller as other capacity SSDs assuming there are available SAS bays. SSDs and HDDs can not be mixed in the same array. Different capacity SSDs cannot be mixed in the same array.